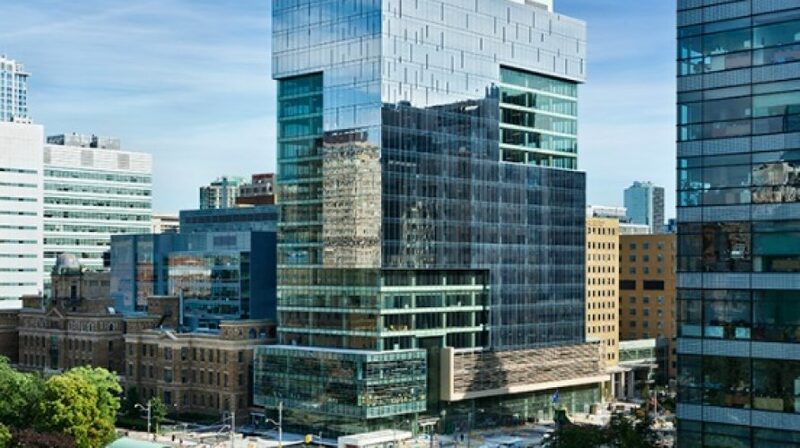 Ted Rogers Centre for Heart Research > Engineering Medicine > Can the design of research space facilitate collaboration? Can the design of research space facilitate collaboration? When you enter the Translational Biology and Engineering Program (TBEP) labs in the west tower of MaRS, there is no telling where one researcher’s space begins or another’s ends. The large airy space, featuring floor to ceiling windows and great views of Queen’s Park and hospital row, buzzes with a gentle hum as graduate students and researchers go about their work. 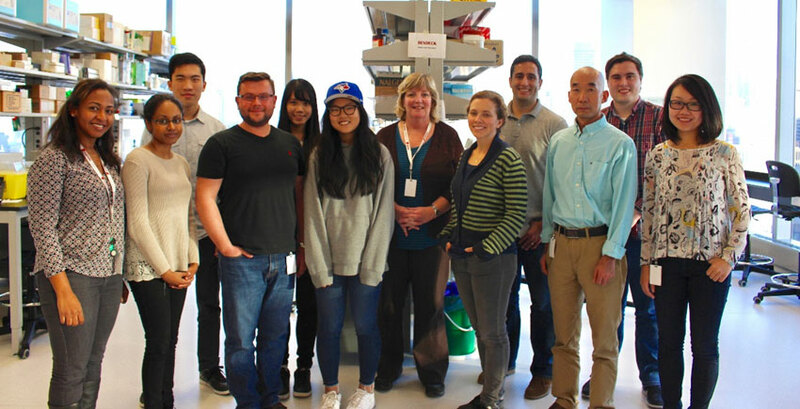 Part of the Ted Rogers Centre for Heart Research, TBEP brings together nine U of T principal investigators (PIs) from Engineering, Dentistry and Medicine to study and treat heart failure. One of those researchers is Professor Michelle Bendeck of the Department of Laboratory Medicine and Pathobiology. For most of her career, Bendeck operated her own independent lab in the Medical Sciences Building (MSB). At TBEP, the equipment – though brought into the space by different PIs – is largely communal. And increasingly, the grant applications and graduate student supervision are a shared responsibility. “My colleagues and I are asking new questions and my interest and enthusiasm for exploring them together is growing as a result,” she says. It begs the question: how important is the configuration of research space in facilitating research collaborations? 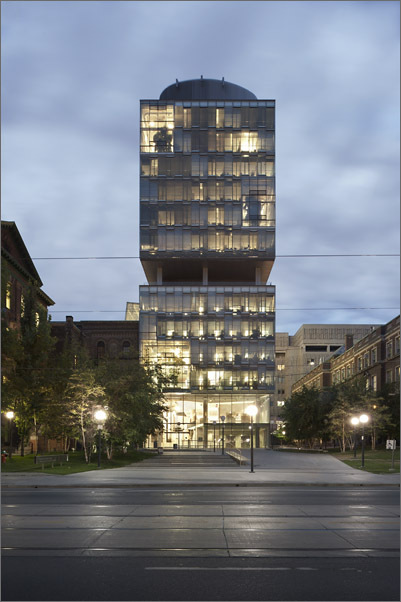 The sleek glass tower that houses the Donnelly Centre for Cellular and Biomolecular Research, which opened its doors in 2005, was the first to pioneer collaborative laboratory space at U of T. Professor Brenda Andrews, who is director of the centre, says the concept wasn’t only new to U of T, but relatively unseen elsewhere in the world. “When we opened, there was really no other centre like ours. With space like ours. We were – we are – doing something different,” she says. The open concept labs have allowed for a high degree of flexibility and variability. It’s enabled researchers in similar areas – such as computational biology – to cluster together to share equipment and expertise. It’s also allowed some labs to integrate more seamlessly, including her own with Professor Charlie Boone. “Charlie and I would describe our lab as a joint lab. We share equipment, we explore projects together, we co-supervise many of our students. We’ve become fully integrated,” says Andrews. Collaboration extends throughout the building, with many other PIs co-supervising students or pursuing joint projects. Andrews anticipates that the Donnelly Centre has more co-supervised students than anywhere else in the Faculty of Medicine. That’s fueled in part by space – including the shared social space outside of the labs – but also the culture that’s been formulated at the Centre. And that was no accident. But space and people alone are not enough, says Andrews. It also takes funding structures that support collaborative research. “The Donnelly Centre was the brainchild of Professors Cecil Yip and James Friesen who foresaw the development of genomic technologies. And, thanks to new government funding opportunities they saw on the horizon – and the generous support of Terrence Donnelly – we were able to secure the funds to build this centre. But, if it were not for changes in grant applications that made it possible to secure collaborative grants, I’m not sure we would be able to operate as we do today,” says Andrews. In July 2016, the federal and provincial governments announced $190-million in funding to support the Lab Innovation for Toronto (LIFT) project. By the time it was completed this past spring, 47 per cent of U of T’s research space would be renovated – including 25 per cent of MSB, which captured $40-million of the total project costs. The renovations broke down the concrete boxes Bendeck described in favour of shared laboratories. Among the occupants of new shared lab space is Professor Paul Hamel of the Department of Laboratory Medicine and Pathobiology, who shared space with colleagues Stephen Girardin, Jeffrey Lee and Jeremy Mogridge. While the old labs featured offices against the exterior walls, capturing any sunlight, the renovated labs are filled with natural light. Offices now sit adjacent to the hallway, with windows looking into the lab. The result, says Hamel, is a trade-off: he’s lost his window, but can now eat while working in his office as it’s no longer in a regulated lab. For Hamel, the renovated space doesn’t afford him any more opportunities to collaborate than before. “We’re in Toronto. If there was something we wanted to know and needed to gain some expertise we didn’t have, we’d look people up and find them. We’re not working with people across the hall, but around campus. We’re very fortunate that when we have questions, people are usually willing to answer them,” he says. The real advantage, he argues, is the working environment for graduate students and research associated. “The new space creates more of a critical mass. Often times, there might be one student working alone in a smaller lab. Now, there’s usually a number of people working – on different projects – but you’re doing it alongside other people. It helps to ensure people don’t feel isolated,” says Hamel. Bendeck agrees with Hamel: space alone doesn’t enable collaboration. And she agrees with Andrews: even if you put the right people in the right spaces, it won’t be enough unless there is funding to support collaboration. Yet, she has found that by gathering researchers together with similar interests in shared spaces, new collaborations and new funding have resulted. This includes her work with Professor Paul Santerre, of the Faculty of Dentistry and the Institute of Biomaterials and Biomedical Engineering. 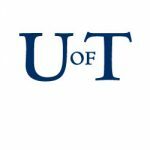 “We’ve both been at U of T for many years but had very little interaction before we both moved to TBEP. I had a lab in MSB. He had a lab in Dentistry. But now we are co-supervising two graduate students. We’ve secured two grants together. I’m not sure that would have happened before,” says Bendeck.